The Ninja brand is famous for its quality, hi-tec style yet affordable blenders. 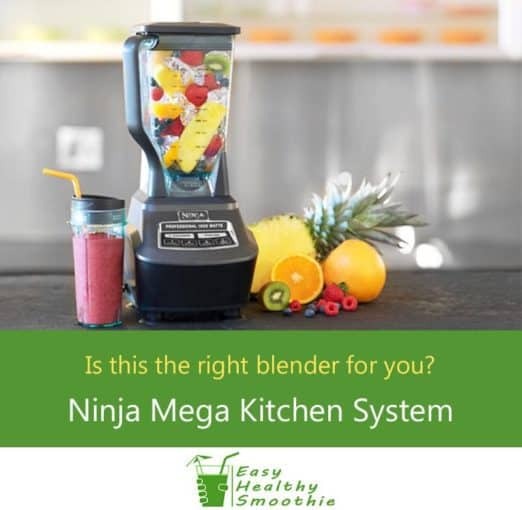 When I first heard about the Ninja Mega Kitchen System I was excited since I love these all-in-one kitchen appliances: it can act as a smoothie maker, food processor, dough maker and veggie chopper. This doesn’t mean it’s perfect for everyone, or that it can make good smoothies. This review will help you decide if it is right for you or not. 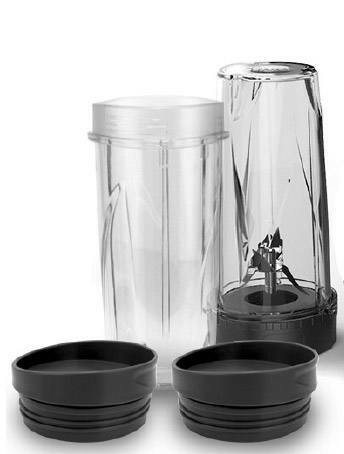 The Ninja Mega Kitchen System is a mid-range multi-purpose blender. It handles a variety of kitchen duties: chopping, crushing, mixing, kneading, extracting, and blending. This is an overall great appliance. Easy clean up - great if you’re on the go. Dishwasher safe jars; blade washes inside the jar with a little soapy water. If you want a blender with versatile uses and functions, ice-crushing abilities, with single serve plus family-sized containers. Plus you have the option to choose different jars or accessories to meet your needs. If you feel you need something a little simpler without so many different kitchen functions. In addition, if you have limited storage space in the kitchen or under your cabinets, bear in mind the Ninja Mega Kitchen System is relatively tall and has multiple accessories to store. Is the Ninja Mega System for you? Why consider the Ninja Mega? Are you “addicted” to or at least have strong cravings for processed foods: cookies, fast foods, pizza? Even things that are marketed as healthy can be deceiving. The best way to know for sure what you are eating is to take charge. Plan your nutrition, and make it simple by incorporating healthy smoothies into your daily diet. With the Ninja Mega Kitchen System you can find just how easy it is to control the ingredients. There are no preservatives in fresh fruits or veggies; There are so many recipes available that you won’t get bored eating the same foods over and over. The Ninja Mega Kitchen system allows you to make smoothies, soups and sauces that have no added preservatives while giving you only the freshest vitamins and minerals you can get. She was like a yoyo - up and down in weight. Her drink of choice was soda pop. She drank about 2-3 liters a day! She loved snack foods and sweets. She eventually developed health problems that caused her to re-evaluate her eating habits. It was then and there that she decided to make some changes. She chose to eat more fruits and veggies in place of her snacks. For something that tasted like a “treat” she would make smoothies with a conventional blender. She stuck it out and totally changed her diet and also started adding in some walking. Fortunately, she was successful and lost the weight and changed her health around for the good. All of this was due to the fact that she added fruits, veggies and healthy smoothies to her diet. 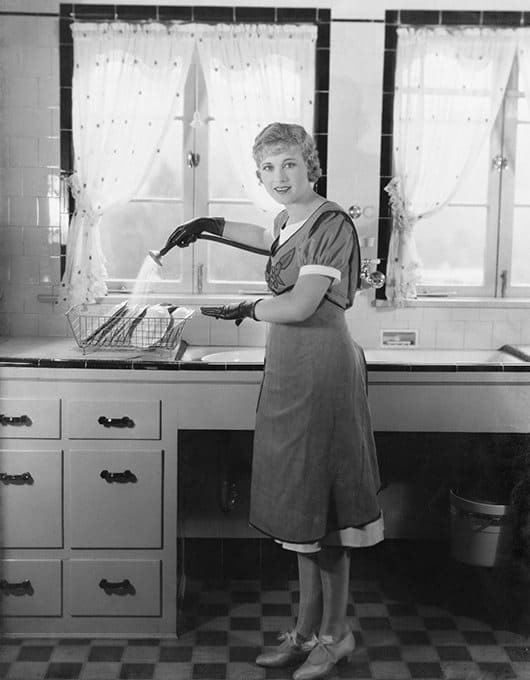 Had she known an appliance like the Ninja Mega Kitchen System was available, it would have saved her time and would have given her other menu options. While her regular blender worked, a Ninja would have made it much faster, easier and probably better tasting due to the smooth consistency. Even so, her change in diet has given her more energy and she is feeling great. Ninja is a well known name in kitchen appliances, specifically blenders. With the name comes the promise to chop, pulverize and liquify your fruits and vegetables for delicious healthy smoothies, soups and sauces. There are four different models in the Ninja Mega Kitchen System line: BL770, BL771, BL772 and 773CO. They all have the same power base and similar features; what makes them unique is the different jars and accessories that come with each one. You are looking for a sleek modern design with digital controls. 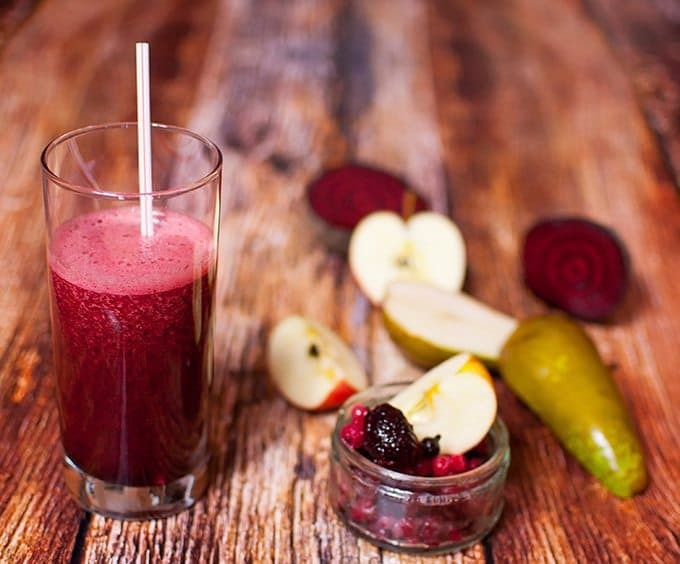 Power is important to you to ensure it can handle ice, tough vegetables and frozen fruit. You want something simpler with not so many attachments and options. If this is true, the Ninja BL660 has a large pitcher as well as a small single serving jar, so it might be the one for you. The BL660 has a slightly weaker motor but still effective since it incorporates the Total Crushing Technology along with the nutrient extractor blades. You need something shorter to fit better underneath your cabinets. The Nutri Ninja blender is a good option to consider. Standing just 15½ inches tall it will fit under most cabinets for easy storage. This unit has the Auto IQ technology which features several pre-programmed blending cycles for consistent results every time. The Ninja Mega Kitchen System is a countertop blender with several attachments for blending, food processing and mixing. It has a 1500-watt motor to supply the power and capability to break down ice and the toughest ingredients in just a matter of seconds. As mentioned there are four different models of the Ninja Mega Kitchen System. Each uses the same power base. When compared to other kitchen blenders it falls mid range as far as price, but it really offers some premium features. This is the more affordable alternative to the high-end Vitamix multifunction blenders. All Ninjas have comparable features. We found most of them to offer excellent value for money. The motor on this blender is 1500 watts, giving you plenty of power to do what you want: crush ice and pulverize vegetables. It can do this in just a matter of a few seconds. Great for saving time and energy. Ninja is known for its patented blades. The motor provides the power while the blades provide the precise tactical prowess needed to slice through ice and frozen veggies. A word of caution: the blades are sharp, so be cautious when handling the blade unit as there is a danger of being cut. Ninja has taken safety steps to protect you such as: the unit needs to be locked in place and the cover of the pitcher needs to be locked down before it will power on. The unit also locks down on the the counter so there is no fear of tipping over. Even so, this is not a unit for young children to be using on their own. The large pitcher, food processing bowl and the single serve cups are made of safe materials, BPA-free SAN plastic and Tritan plastic. The Ninja Mega Kitchen System has an extra-large pitcher (72 oz.) which is ideal for mixing iced drinks for the whole family. It also comes with a food processor bowl (64 oz.) which is great for mixing doughs, sauces, dips and mixes. Finally, the single serve cups (16 oz.) are just the right size for you morning smoothie. The power base of this system weighs about 9 pounds. There is a suction locking system on the side of the power base to “lock down” the base to the cabinet when mixing, especially heavy bread doughs. The digital controls are all encased for easy use and clean up. Just wipe clean. There are three speed selections: blend, mix, and chop, plus a pulse button. The lid for the pitcher has a special feature meant for both safety and cleanliness. The lid fits very tightly and locks on to the pitcher. This will keep any ingredients from splashing out. It also will prevent any cutting injuries with the blade assembly. The unit will not work if the pitcher and lid are not locked into place correctly. ​Add about ¾ cup of water to the pitcher along with a drop of dishwashing liquid. Turn on the blender and give the blades some spin (around 30 seconds). This should remove most of the waste from the blade and give the pitcher a good soak as well. Rinse and you are good to go. All jars, pitchers and bowls dishwasher safe, so that’s another easy cleaning option. Best value is the name of the game when shopping for appliances in a very competitive market. As shoppers we all want to get the best value for our money. When compared to other blenders, the Ninja Mega Kitchen System has all the great features and capabilities of high end blenders. The Ninja is about ¼ the cost of some higher end multifunction blenders. If you wanted both a large capacity blender, mixer and a food processor you would be paying 3 to 4 times as much for three separate machines. Not to mention all the space that 3 machines with take up. If your purpose is to crush ice into snow powder and liquefy fruits and vegetables, then the Ninja Mega Kitchen System can do this plus do the duties of a food processor as well. Ninja, the first name in nutrient extraction, has a lasting reputation. There is a standard 1-year warranty on any manufacturing defects. It does not cover normal wear and tear on any of the components. Extended warranties are available for special purchase packages. One drawback, user reviews have mentioned some hassle with customer service if you have a repair and you have to pay the shipping and handling. Hopefully Ninja has made an effort to improve this point following the online complaints. If you have any experience to share - please write a comment below! One of the benefits of the Ninja Mega Kitchen System is that it comes with a great recipe book. There are some tasty options that are not just smoothies. How does Spicy Shrimp Potstickers sound? Or Silky Swiss & Kale Quiche? You control the ingredients, the portions and get all the nutritional value available. Of course there are numerous smoothie recipes to try like Blueberry Cucumber Blend and Berrylicious Colada. Healthy lifestyle, here we come! I was curious what others were saying about the Ninja Mega Kitchen System so I searched the internet looking for some reviews. As you’ll see in Amaz﻿on, customers generally love this appliance. ​The Oster ﻿﻿Pro ﻿﻿1200 is a great low-cost alternative. First it has a glass pitcher that allows you to blend hot ingredients as well as cold. The pitcher is large for family recipes. It is easy to clean. There is a single serve cup and a food processor attachment. The new blade system runs in dual directions for extra power in blending and chopping. 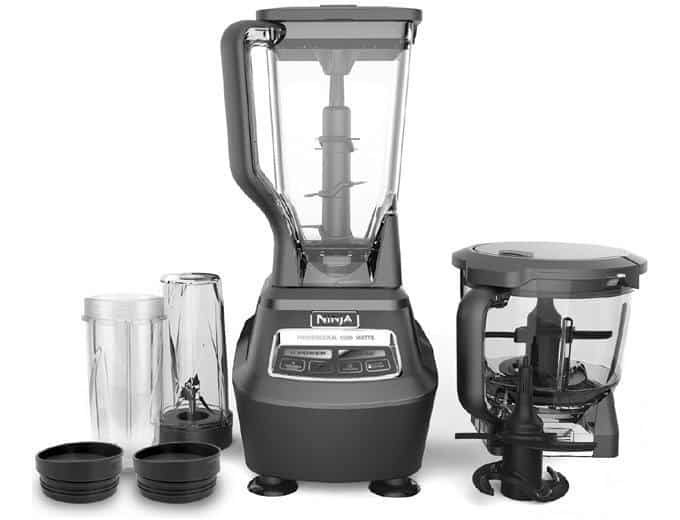 The best part is this blender system is half the price of the Ninja Mega Kitchen System. A mid-range alternative is the DeLonghi DFP950 Die-cast 3-in-1 Food Processor, Blender, & Scale. This has the blender for smoothies and the food processor for chopping, dicing and slicing. It also has a scale if you like to measure the weights of your foods. The food processor has a whisk attachment and a dough hook for making breads. For a high-end all around system you could try the Vitamix 5200 Deluxe Complete Kitchen Set. This unit replaces 12 appliances and can do any kind of food prep you need. It comes with a large jar, single serve jars, a special container for grinding flours and making dough, and much more. But for the features, capabilities, power and the Vitamix name comes a hefty price that could exceed 3 times the Ninja Mega Kitchen System. You can find our full comparison guide to Vitamix vs Ninja here. The Ninja Mega Kitchen System has the necessary qualities and features for a great smoothie maker and a food processor all wrapped up into one great set. 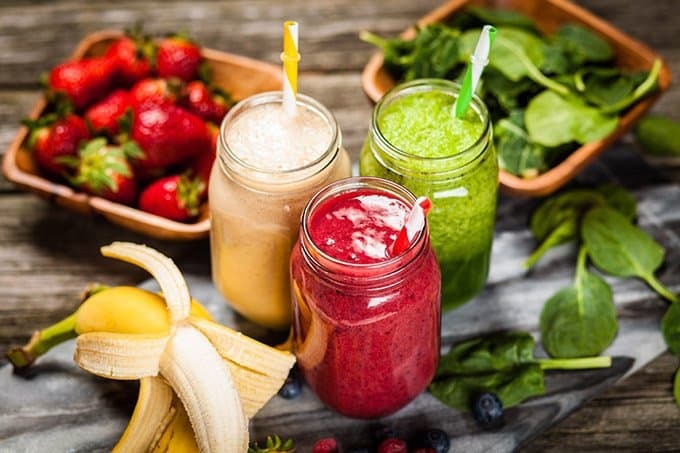 You can blend up healthy smoothies, chop up fresh fruits and veggies for salads and other recipes to help you on your way to a healthier lifestyle and improved well being. It’s a time saver for making smoothies, chopping, blending, and mixing. In just seconds you can have your blending, chopping and mixing completed and be ready to move on. The 1500 watts of power and the patented blade assembly make crushing ice and pulverizing fruits and vegetables so easy. A variety of sized jars and containers along with ease of cleaning are value added features. I hope you have enjoyed this review and found it useful. If you are already using the Ninja Mega Kitchen System I am sure many readers would love to hear about your experience - please leave a comment below. Others may find this review useful - please share it using the buttons below. I’m just getting started on smoothies and I’m looking for a good blender that will serve me well. I’ve thought about getting a Ninja blender so this review is great timing for me! Thanks for your comment, Alison! Getting a good blender is so important for us smoothie lovers so it’s great that you’re putting so much thought into which to get. It has really good reviews so if you get it, I’m sure it’ll do you proud! My cheap blender isn’t really cutting it so I’m looking at getting something different and the Ninja Mega Kitchen System is one of the ones on my list. This is a great review… really helps me weigh up whether it’ll work for me or not! This is really a great review. Thanks for the update. I am thinking of purchasing Vitamix S30 Personal Blender, but now my point of view just change all of a sudden. Thanks for your article about Ninja Blender.